Today I’ve got a post for y’all on jewellery essentials. Even if you’re not the biggest jewellery fan in the world, you can’t deny that there are just some things that look stunning no matter how much you try to resist it. So today I’ve got a post for y’all featuring an ETSY store which sells scarves and accessories by Ima Picó. Her work is utterly amazing, trendy and vibrant. 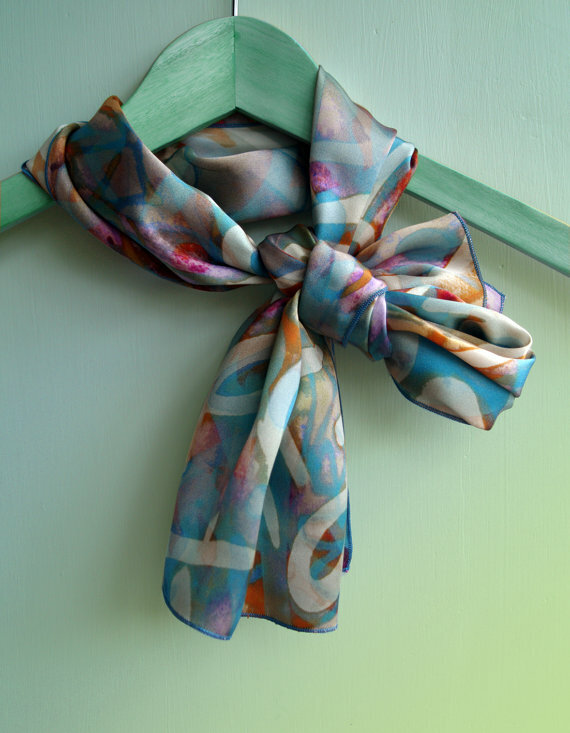 You will find unique silk scarves for women and pocket squares for men and other handmade accessories such as necklaces, beaded bracelets, wrapped bangles, brooches, pin flowers and small decorating pillows all designed by me and printed on natural silk. I accept customs orders, so have a look around and if you find something you like but prefer another size/color, please let me know and I might be able to help you. I feel this scarf would be perfect for autumn as it has cool colours which helps begin the transition into winter fashion. It still has pops of colours which avoids the feeling of a dull outfit. 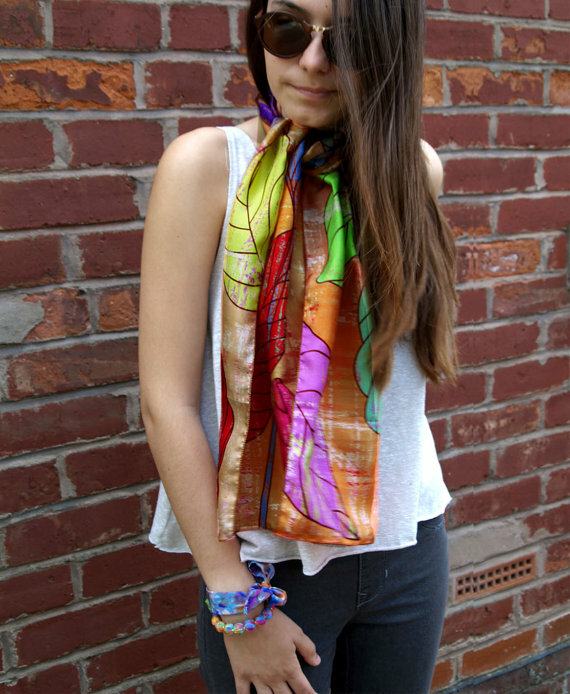 The second scarf I have chosen is this one; it’s vibrant and perfect for the transition into spring. The bright colours give a playful, joyous feel to the outfit – making it a somewhat statement piece. 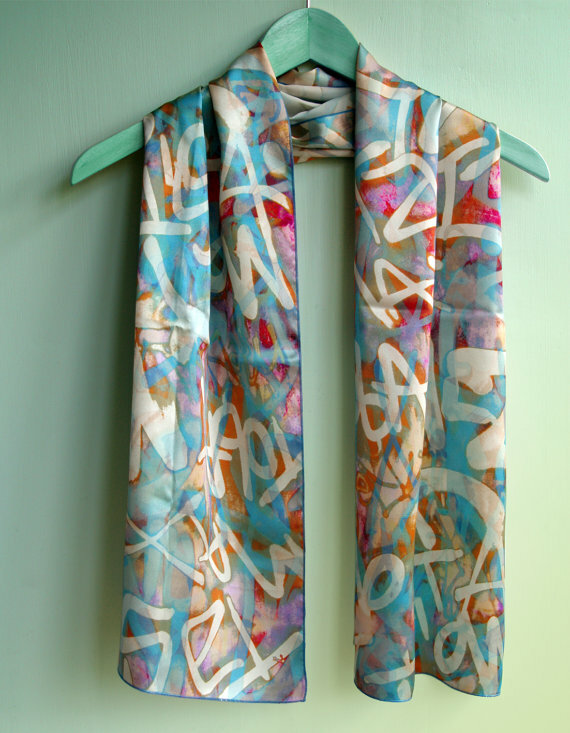 The colours on this scarf screams out spring! This is a unique, subtle yet pretty necklace. The colours are not too vibrant, instead have a calm, sophisticated sense to them. 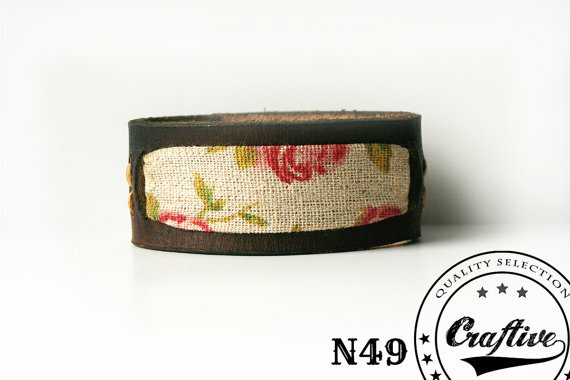 This would be perfect to spice up an ordinary outfit in the spring or summer time. 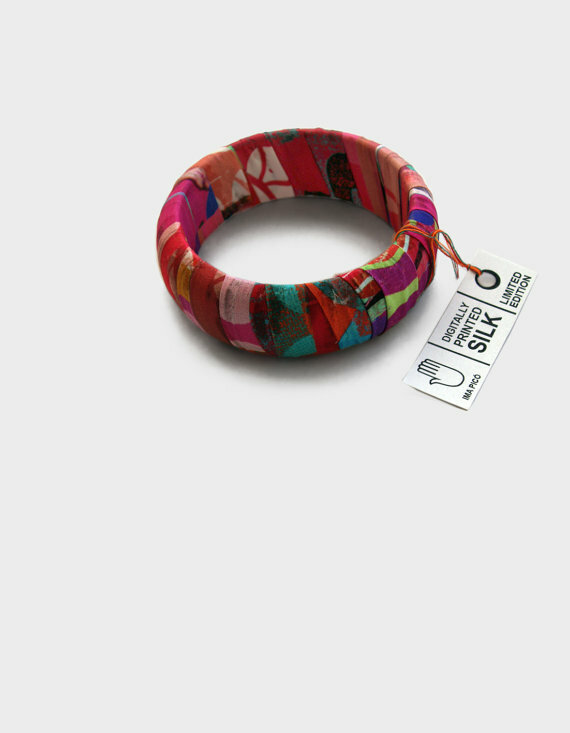 This bracelet is another amazing piece my Ima, it has quirky, bright colours similar to one of the scarves mentioned above. 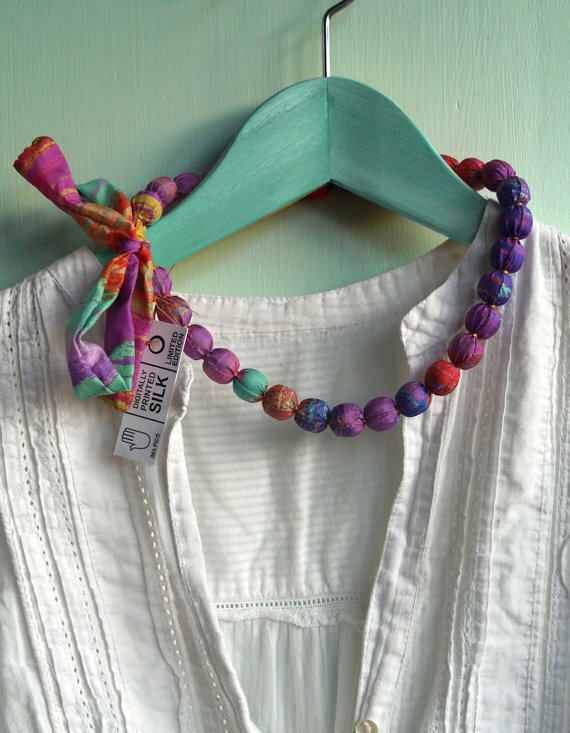 It would be a perfect duo piece or a stand alone piece to bring some colour and life into your outfit. 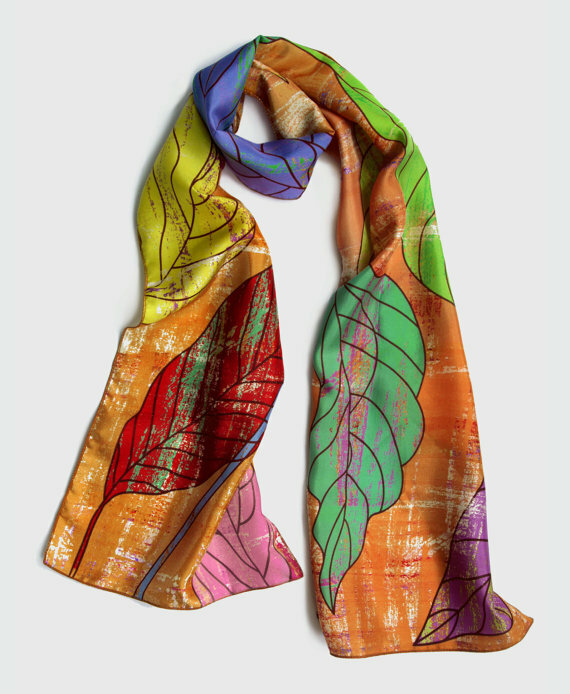 It is also made out of silk, making it extremely comfortable to wear throughout your day. 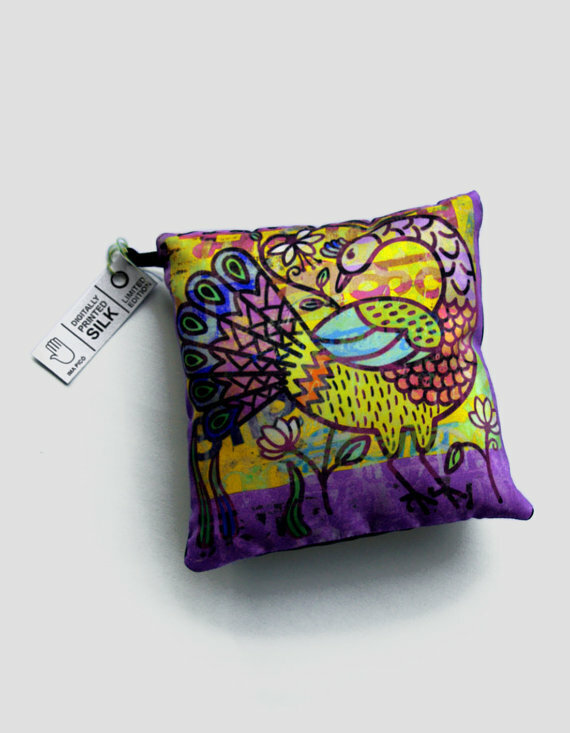 Lastly, my favourite piece by Ima; her pillows! 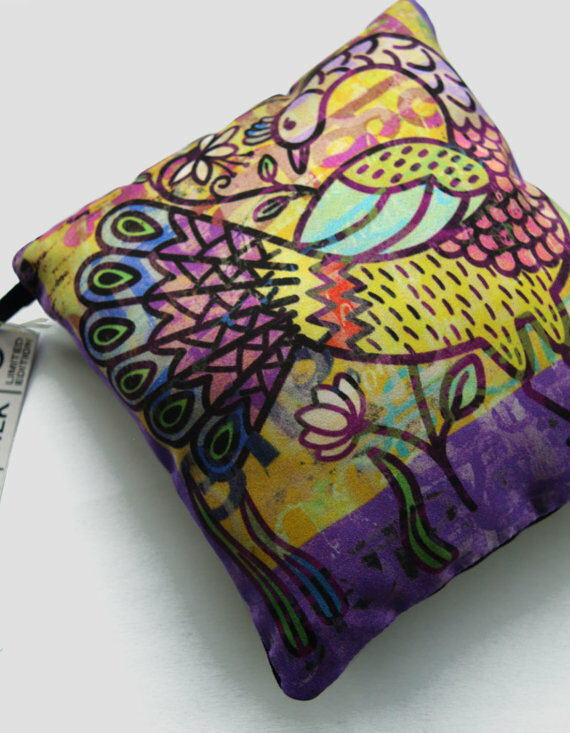 I can’t express how adorable these are; they are full of colour and would look magnificent on your sofa or even on your bed. I think these are a really fun piece to have around the house and also give off a spring/summer time vibe. If you don’t like this one, she has many more to choose from! Ima has also kindly provided us with a discount code for 20% off items in her store! Use this at the checkout in her ETSY store: BUYHANDMADE20. Let me know your favourite piece from her store & your thoughts on her work! **This was a sponsored post. Featuring: CraftiveLeather + FIRST GIVEAWAY (CLOSED)! I am so excited to be collaborating with Michael, the owner of CraftiveLeather who has allowed me host a giveaway for him (my first one EVER!). So stay tuned until the end for that – also there’s a prize for you whether you’re male or female! 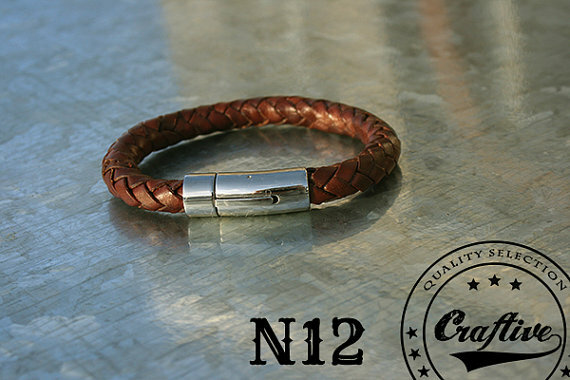 We love to create leather jewelry inspired on rustic and old look style but we love the most the idea of someone enjoying our items. 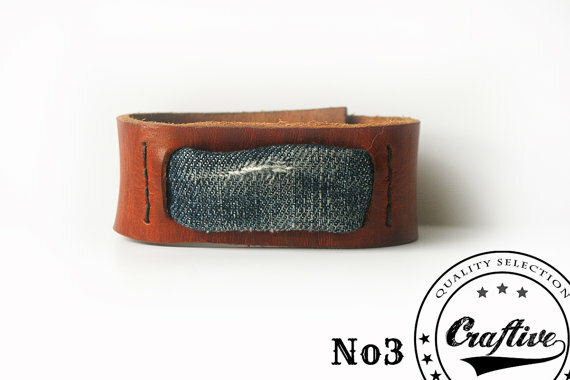 We design and create leather bracelets for men and women, leather pendants and rings from recycled materials. 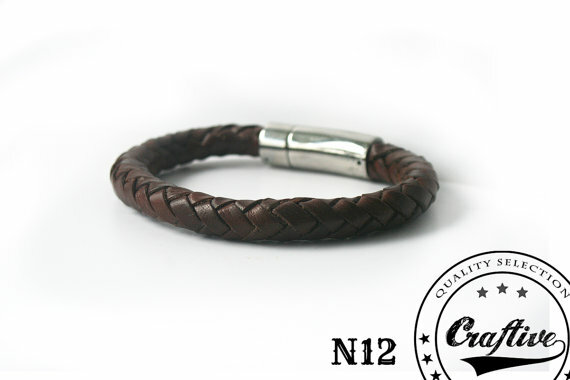 On our leather wristbands and pendants we use high quality genuine leather. 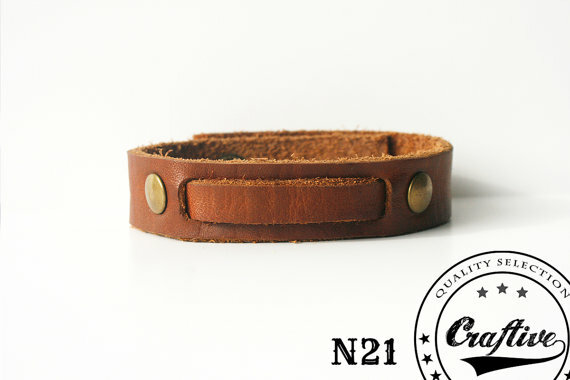 From us you will find raw, old look, rugged and rustic style of leather jewelry made with all our love and care! 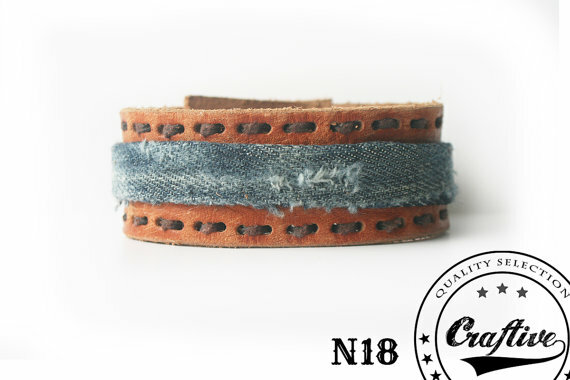 As soon as I begun to browse his ETSY store I fell in love with the rustic, yet fashionable bracelets he creates. I am so excited to be branching out to a larger audience, in this case men! Men can actually read this post and gain inspiration without being overloaded with all makeup and girly stuff (shoutout to my male followers!). Personally, I think this is such a fashionable piece and is perfect for the upcoming Spring and Summer for those of you in the Northern Hemisphere! It captures the essence of Spring and will definitely add a little spice to an outfit as well as festivity. This one is for my male readers which I think is extremely fashionable, yet versatile. I love the subtle detailing on the bracelet which makes it more interesting and edgy than just a plain wristband – perfect for a day in the city! Here are two different bracelets with touch of denim – I think the touch of denim makes it look sophisticated, yet fun with the leather on the outside. The first one (NO3) gives off a more classy look, suitable for more important events where as the bottom one (N18) is more casual and perfect for a day out. I think this bracelet is captivating as it’s simplistic, yet stylish which would definitely add another element to your outfit & would definitely be grabbing some compliments. 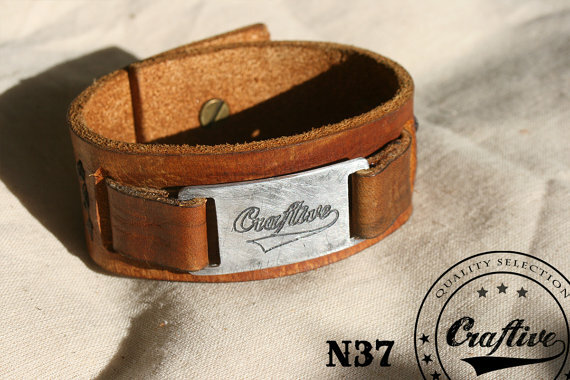 This leather bracelet has a nifty aluminum plate attached to the middle which I believe is able to be customised to say whatever you please (how cool is that!). 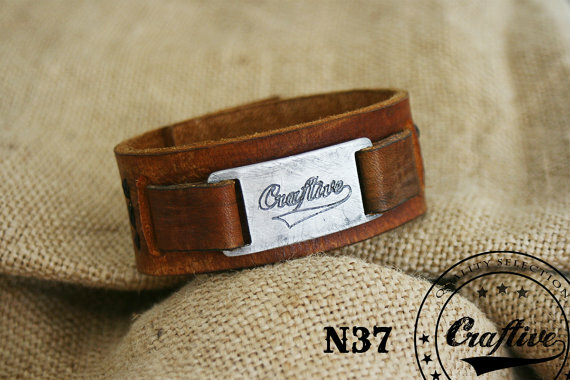 This bracelet captures the rustic, yet modern fashion style for men – one that I would definitely buy for my boyfriend! So those are my favourite pieces from Michael’s store – and what’s more, they are all made from genuine leather and the whole store has FREE SHIPPING! Who doesn’t love that. Now on to the giveaway! The bracelet which you will win is either the first or second one I talked about, you can choose which one. Good luck everyone – the giveaway is international and winner will be announced on 22th April on my twitter, please contact me within 48 hours otherwise a new winner will be chosen. ** THE WINNER IS KIRA BEAUMONT – http://seasonal-rose.com/ – CONGRATULATIONS! Ok, so I was browsing around ETSY and Rasa reached out to me (her shop name is RasaVilJewelery). I checked out her store and absolutely LOVE her statement jewellery pieces. I think they are an excellent way to spice up an outfit or add sophistication. Here are my top five favourite pieces from her! The first one: How gorgeous is this piece? I love the unique, sophisticated vibe it gives off. It even has a bit of a ‘mysterious’ feel to it. 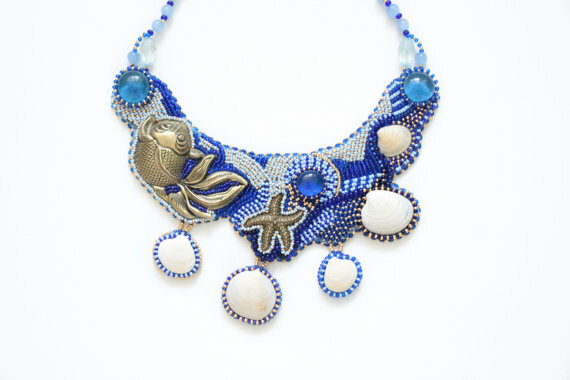 I would definitely wear this necklace to add an extra ‘wow’ factor to my outfits at semi-special/special events. I love how it is really simple, yet beautiful – all the focus is on the gorgeous jewel in the middle, which I imagine shines brilliantly when the light hits it. This one is favourite out of all the ones I’m featuring! How elegant is this piece? This is a great option if you really want to make a statement, in my opinion this necklace is a show stopper. You can really see how much care has been taken in the creation of this – every detail is perfectly organised and really compliments the overall look of it. I think this would look so gorgeous with a long, white dress with small blots of colour (or even just plain white), it would definitely be the main focus and star of the outfit. Okay guys, honestly how fashionable is this necklace? I love the mermaid-like feel it gives off. I think this necklace would definitely be a compliment grabber. I love the overall colour scheme of gold, white and blue – these colours always look amazing together. The blue jewels and gold touch gives it a more sophisticated feel, making it definitely wearable for important events. This piece is less bold than the others but still is a stunning piece – it will make an outfit look effortless. If you aren’t feeling like being in the spot-light as much, this necklace would be perfect. I love how it looks simple yet elegant and that it would easily match almost every outfit you create! Easy to match necklaces are a must in my jewellery and outfit staples. 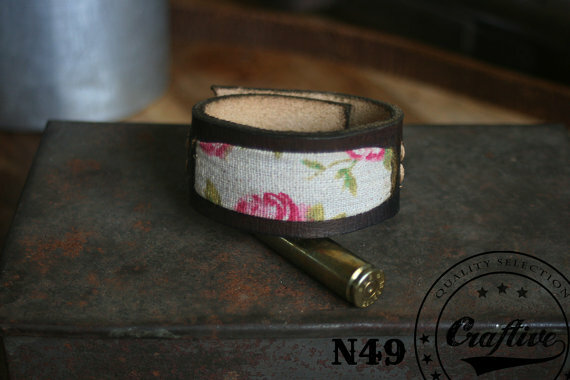 Last but not least, a bracelet! I love this bracelet as it has the gorgeous, opaque jewel in the middle – I think this shows finesse and is very stylish. 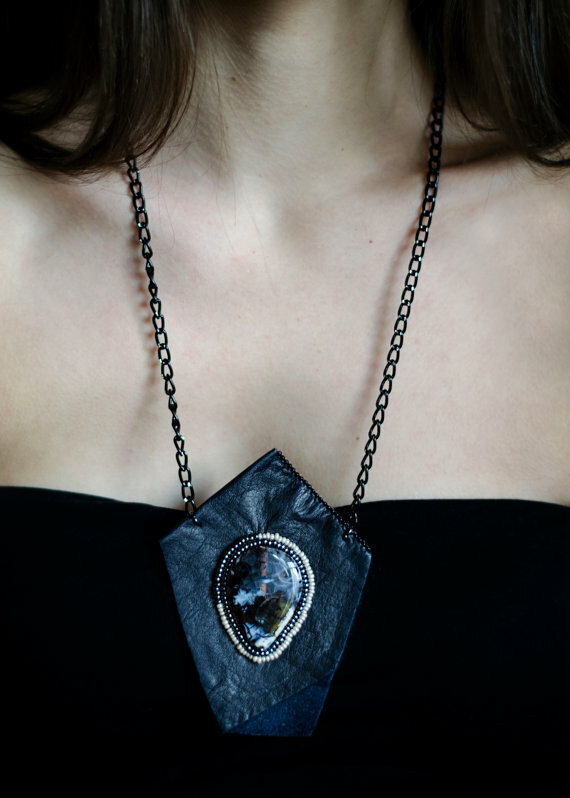 This is a more toned down statement piece, which is perfect if you want it to compliment an outfit without overdoing it. The beautiful beads around the jewel add texture and makes the bracelet stand out compared to other normal bracelets. If you guys would like to see more of Rasa’s handmade (can you believe they’re handmade – she is truly talented) jewellery you can check out her store at: https://www.etsy.com/au/shop/RasaVilJewelery – she even allows custom orders! Let me know which your favourite piece is that I featured! Mine is the first one – it is just gorgeous and definitely down my alley! * This post was sponsored.